With your help, Engineers in Action has the opportunity to raise $40,000 as part of its end of year giving campaign! Thanks to the Steve & Julie Guy Matching Fund, every dollar you donate becomes twice as nice this holiday season. By participating in this matching fund campaign, you’ll ensure Engineers in Action can help thousands of families in rural South America. 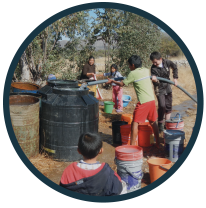 In 2017, Engineers in Action changed the lives of more than 12,000 people in rural Bolivia and Ecuador through its various programs and projects. That’s a 140 percent increase in impact over 2016 with nine new villages in Ecuador celebrating the friendship and assistance from EIA, plus our continued and ever-growing work in nearly 30 Bolivian villages. 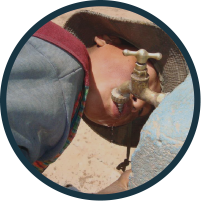 From WASH trainings to water infrastructure implementations, EIA’s work makes a major difference to those less fortunate. Give a gift to help them this holiday season and double the impact made on thousands of lives. Will you help us achieve this incredible $40,000 gift opportunity? Take advantage of the Guy Matching Fund and donate now!